Atlanta hosted the Olympic Games in 1996, on the 100th Anniversary. This 21-acre park is one of our favorite things to see in our amazing city. Located in the center of downtown, it has millions of visitors each year. 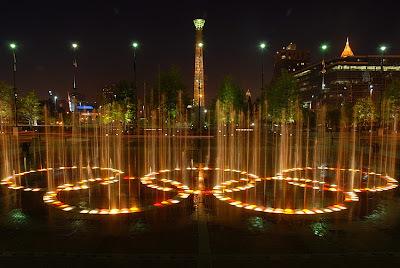 Atlanta photographer, Eric Bowles, captured this beautiful photo of the park's fountains, which feature the 5 Olympic interlocking rings. A delightful sight, day or night. Have a fabulously fantastic weekend!